Finding a space of our own is something we all yearn for. 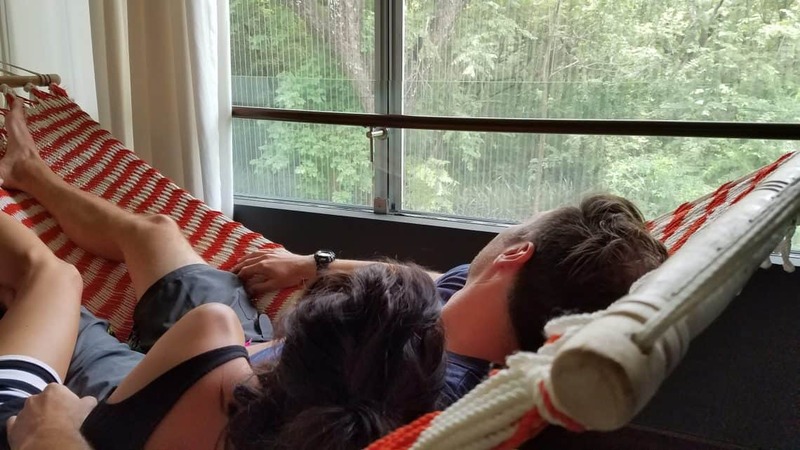 It started out with blanket forts and tree houses as children and as adults, we still look for that little niche in the world where we can do as much or as little as we want, in a beautiful tucked away destination that feels like it was made just for you. Well I found one in Costa Rica folks. My adult blanket fort. Surrounded by forest, beach and mangrove, El Mangroove Autograph Collection (awarded by Condé Nast Johansens 2016 Awards for Excellence in the “Best Waterside Hotel”) is a place that inspires wellbeing and reconnection with yourself and loved ones. Most travelers enjoy putting their championship marathon eating abilities to the test. El Mangroove Costa Rica features two restaurants in which to do so: Makoko and Matiss. Both feature incredible farm-to-table and ocean-to-table menus that will delight even the pickiest of tastebuds. 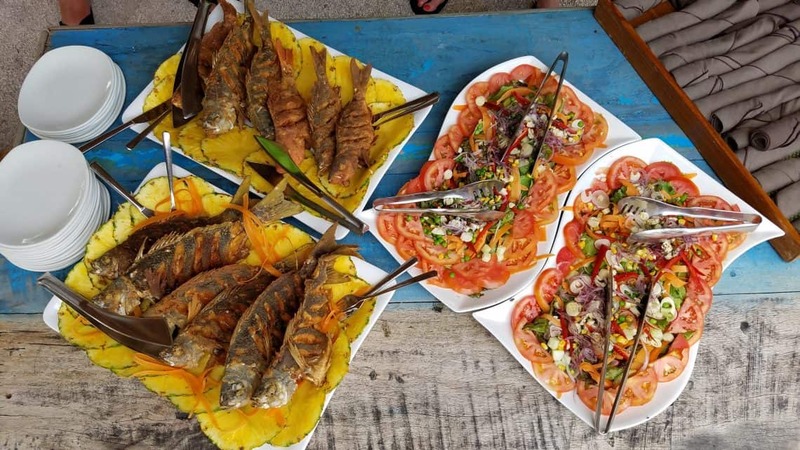 With a mixture of flavors that offer up everything from burgers to catch of the day hot off the grill, eating at El Mangroove was easily our most looked forward to activity of each day. Fresh off the boat from a morning fishing trip! Tip for those who love fishing: book a fishing trip with the concierge and the chef will prepare your fresh catch for you! With beautifully appointed with bohemian-chic decor, plush Simmons mattresses dressed in heavenly sheets and comforters, in room hammocks or comfortable sofas and gorgeous views, you might find yourself wondering if you ever have to leave the sanctity of your room. The stunning 130 foot pool offers more than just the ideal place to perfect your swan dive. With 5 private cabanas and pool side food service, it’s also a great place to relax and catch up on your leisurely reading – or take a well deserved nap. Too lazy to even bother with swimming? You can still cool off in the pool, cocktail in hand, with zero effort thanks to the built in bench along the sides (genius!). Yes, yes you can. 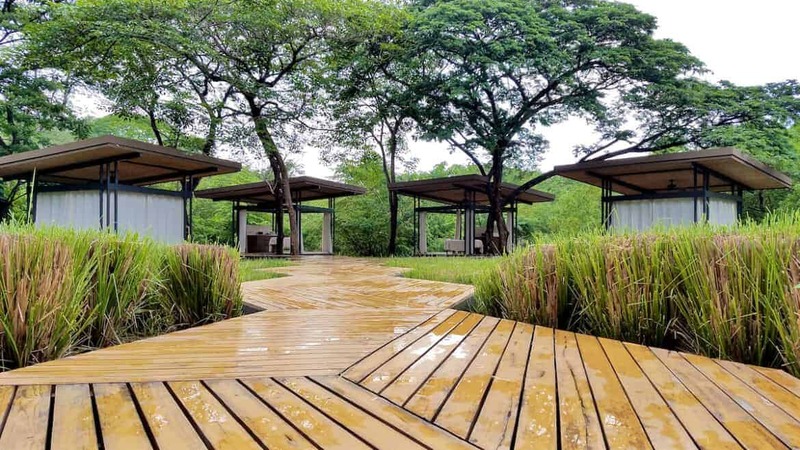 El Mangroove Costa Rica boasts a state of the art Bearth Spa and fitness center with outdoor “wild-fit” areas to pamper your most luxurious health and wellness needs. Set amongst the trees, choose to have your massage in one of the outdoor treatment rooms for the most immersive and relaxing natural experience. Don’t forget to spend some additional time in the relaxation areas before or after your treatment! If your wandering heart calls for adventure, the 17 acre property has more to offer than just places to catch up on the two Rs (rest and relaxation). 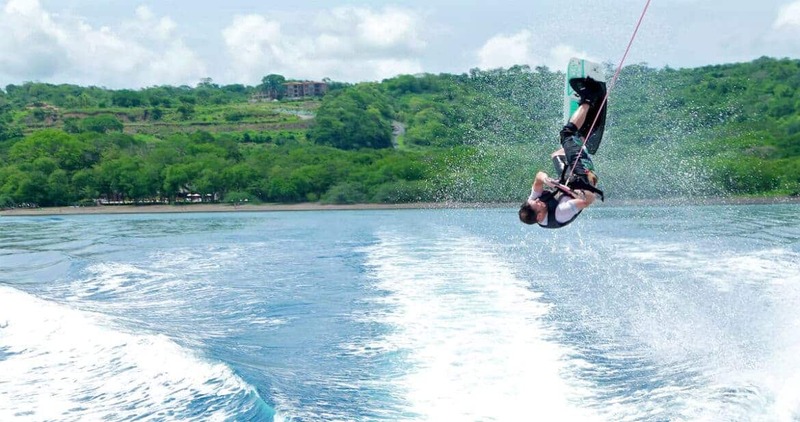 Guests can stroll on down to the beach (one direction will land you amidst tide pools for exploring and the other, locals fishing and spending time with their families), find paddle-boarding escapades, bicycles to explore the neighboring funky town of El Coco, yoga sessions to reenergize, snorkeling, or kayak to venture into the Gulf of Papagayo. You can also take a beach hopping cruise, go dolphin and whale watching, try your hand at a fishing expedition or show off your mad wakeboarding skills. However you choose to spend your time at El Mangroove, you can rest assured it will be time well spent. We thoroughly enjoyed every single aspect of our hosted stay and highly recommend this resort to our friends and family when they ask about where to stay in Costa Rica. 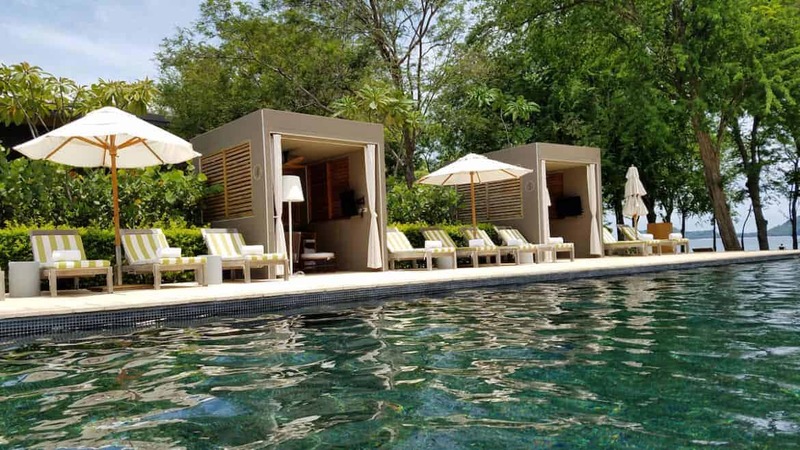 One huge bonus is that it’s just 20-minutes from Daniel Oduber International Airport in Liberia, making it the closest beachfront resort to an international airport in Costa Rica. 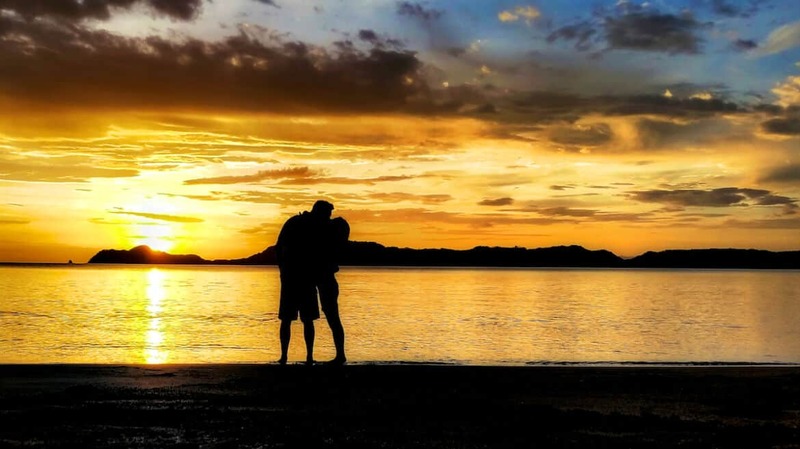 If you’ve ever been to Costa Rica, you already know a lot of time can be wasted on the “roads” here so finding a sanctuary that is easy to reach upon landing in this country is really awesome! Wow! This is such a gorgeous place to visit. I could easily get lost in the food, the water and the local gathering spots. That’s an amazing place to be at! There’s just so much activities that you can do. What really drove me is the food. Everything just looks great! Costa Rica is such a lovely place. I don’t think I’ve stayed at El Mangroove before, but I sure would love to after seeing this post! It’s amazing!